Helps employees increase self-awareness, better understand strengths, uncover blind spots, and improve skills. Guides managers in providing important feedback to employees and coaching them to higher levels of performance. 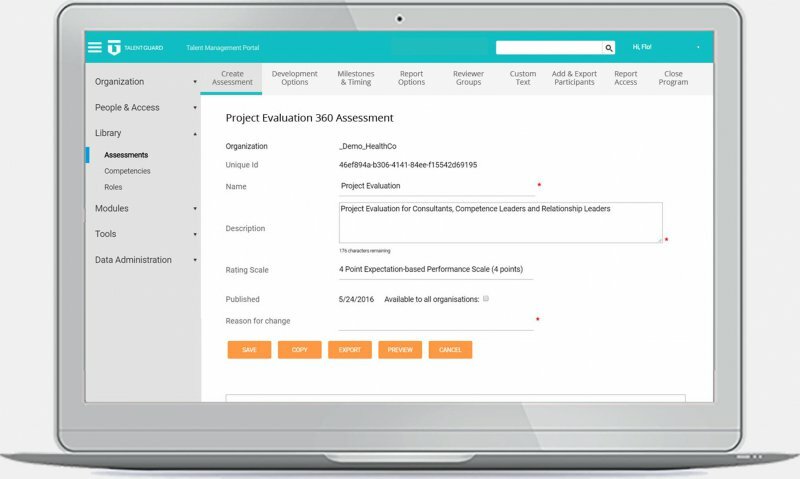 Accurately gathers multi-rater feedback, measures leadership potentials, and benchmarks participants on a variety of dimensions. Helps employees improve self-awareness, better understand strengths, uncover blind spots, and improve skills. Use objective multi-rater feedback and coach employees to higher levels of performance. 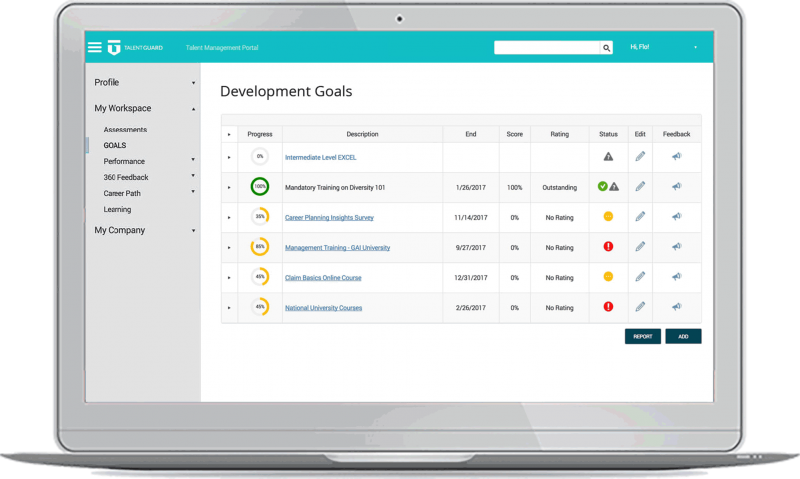 Generate assessment benchmarks based on varying criteria and use it to develop and grow employees. 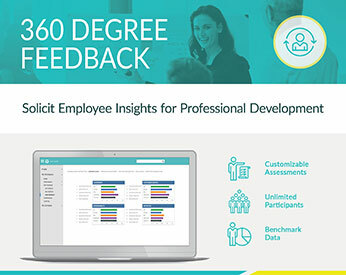 Create unlimited 360 Degree Feedback assessments to meet the needs of your organization. 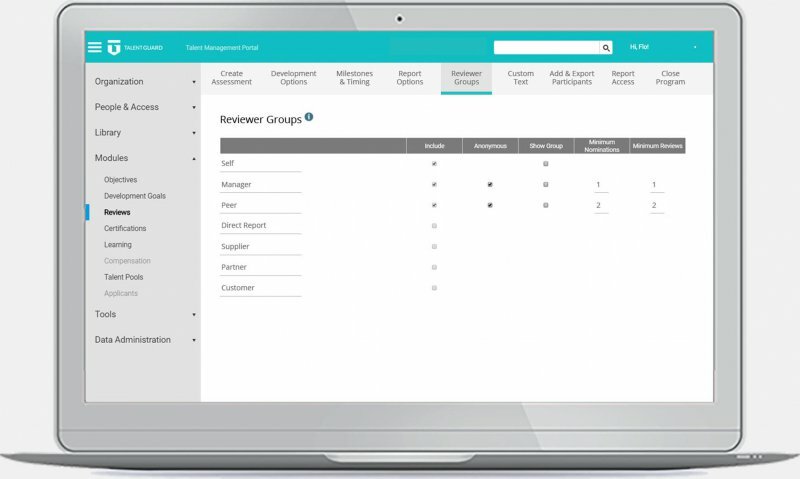 Configure reviewer group settings to meet company requirements. 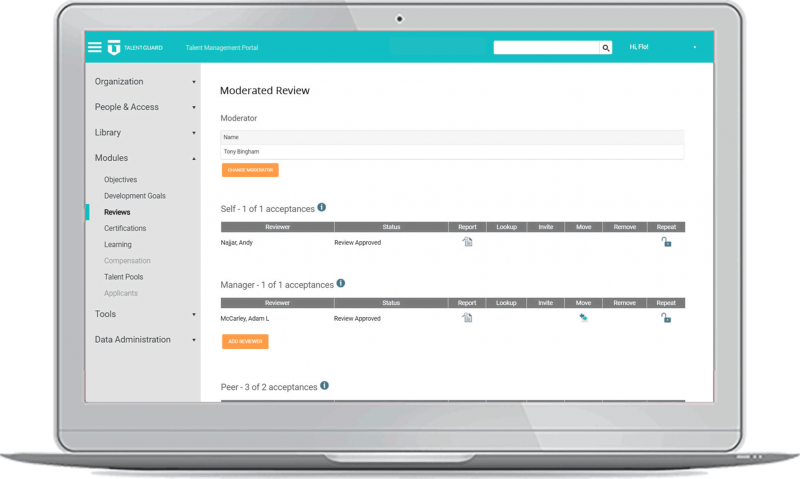 Invite an unlimited number of participants for each 360 degree feedback review. 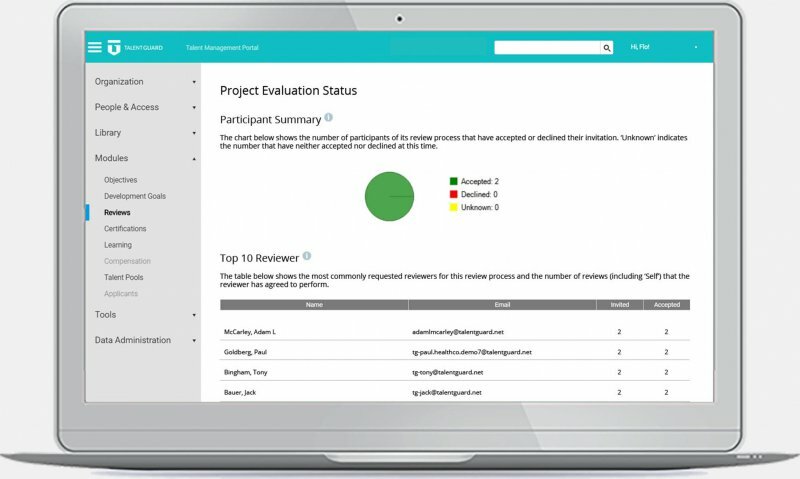 Moderators can monitor and manage the reviewers for the participant. 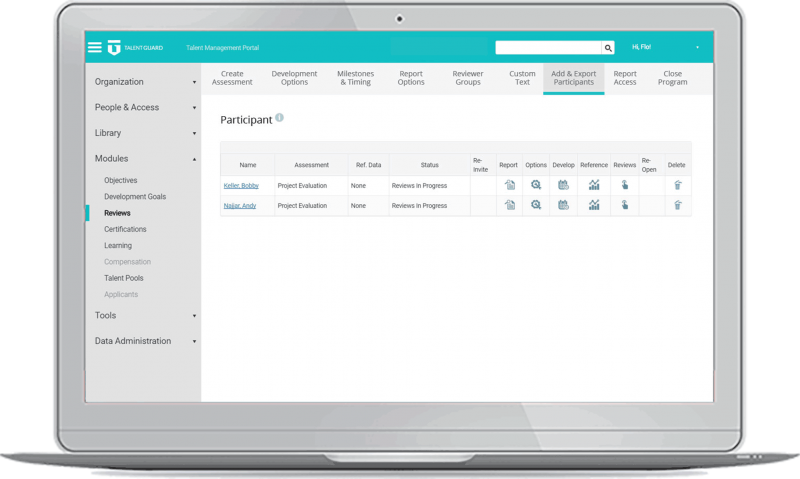 View the overall status of each 360 program including participant summary, top 10 reviewers and reports. 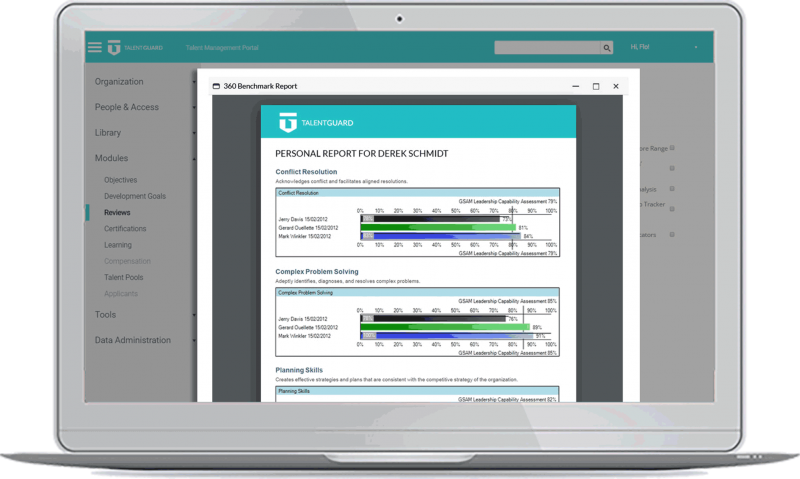 View and print benchmark reports to evaluate and compare results across various criteria. 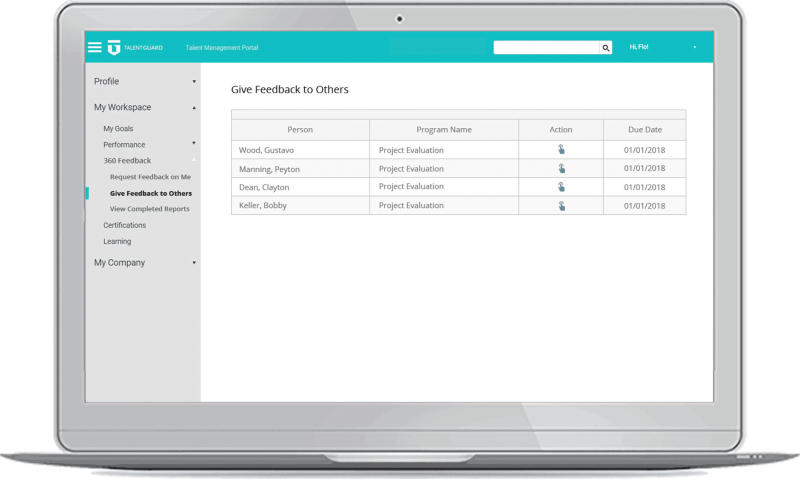 Participants can track all feedback requests using a simple dashboard. For set competencies, participants provide ratings and can add additional comments. 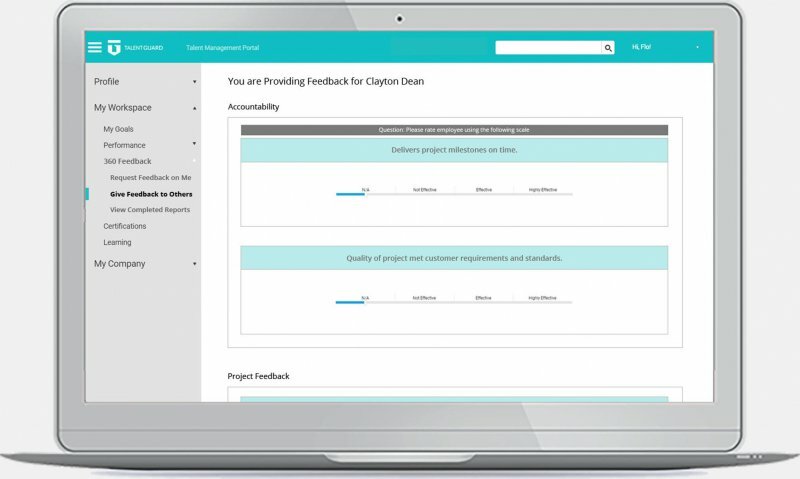 Thirty-three percent decreased turnover due to information obtained from team-based feedback. Seventy-five percent of employee promotions attributed to employee development based team-based feedback. Thirty percent decrease in voluntary attrition after implementing regular feedback sessions.